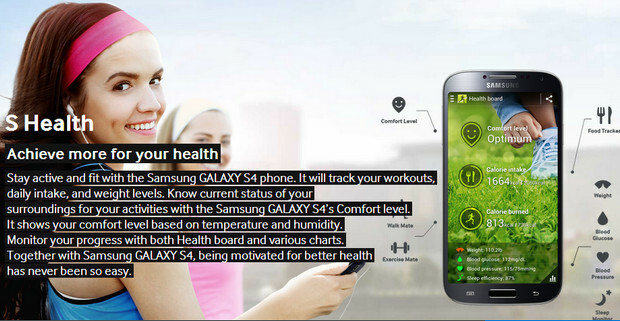 Samsung’s latest and greatest high end smartphone, the Samsung Galaxy S4, was announced last night in a glitzy showbiz ceremony in Radio City Music Hall in Manhattan, New York. The 5″ phone looks much the same as it’s monumentally successful predecessor, with most of the headline grabbing news coming in the shape of new software features. As seen on the Note, the S4 supports “Air View” allowing you to preview the content of an email, S Planner, image gallery or video by hovering your finger over the screen ( like the right click function on a desktop PC). As expected, the handset features an innovative, “smart scroll and smart pause” function which uses the front facing camera to monitor a users’ eye movements, pausing videos if they look away, and scrolling web pages automatically. Niftily, the S4 can translate nine languages, from text to speech and vice versa or just translate text, and the Galaxy’s 13 megapixel camera can now simultaneously record the user as well as his or her subject. 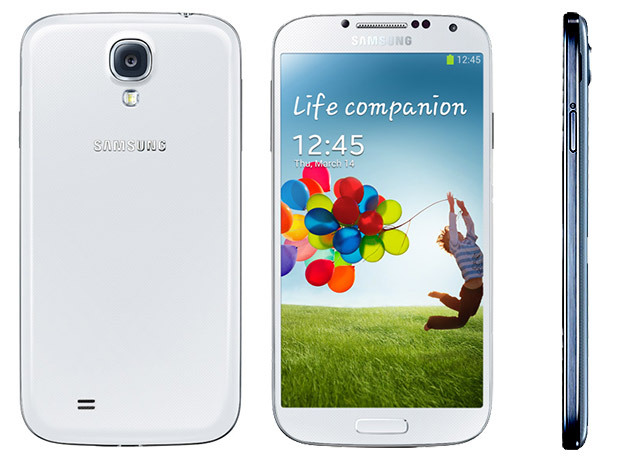 Attractively, the Galaxy S4 has a very narrow bezel, surrounding a five-inch display sporting a high-def and iPhone-besting 1920×1080 pixel resolution (441ppi). 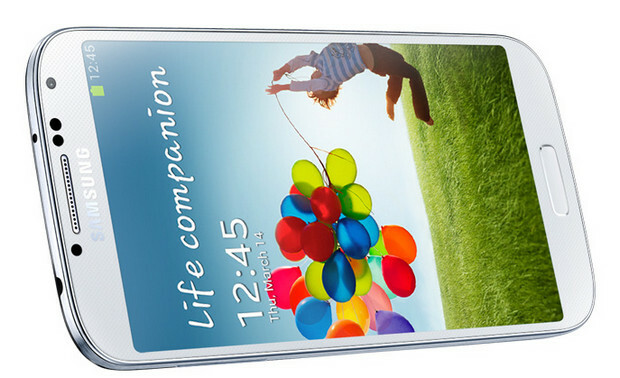 Samsung have managed to make the S4 smaller than the Galaxy S3 at 136.1 x 69.8mm despite the bigger screen, and it’s just 7.9mm thin, weighing 130g. Coming in ‘White Frost’ and ‘Black Mist’ colours, the phone comes with a Samsung Exynos 1.6GHz processor, running a hefty eight cores. The handset comes with a generous 2GB of RAM – twice the amount in the iPhone 5 – and storage options come in 16, 32 and 64GB variants. Samsung is to be warmly congratulated for finding space for a microSD slot (offering up to 64GB additional storage and fitting the phone with a removable battery. CPU: Exynos 5 Octa (8-core processor) 1.6ghz (ARM Cortex A15 cores (1.8GHz) and four Cortex A7 cores, only 4 can be active at a time) (28nm fabrication) (International version) and for US Qualcomm Snapdragon S4 Pro or Snapdragon 600 1.9Ghz Quad-core.